Please welcome to the Monster Zero family, GRISWALDS! Since '95 these three London amigos have been spreading the Ramones virus, and they have no intention of calling it quits. 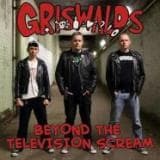 'Beyond The Television Scream' is their newest full-length and contains 14 mega krachers of poppunk schoolbookin'. Soon to be classics include Do The Zit, She Went Away and This Mess Of Emptiness. 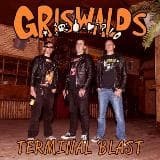 Orpington's snot pop punkers are back and back quickly for them!Only 3 years after their 2nd album, the Griswalds are here with their final album after 21 years together and 20 years, 19 days of playing gigs. This, their 3rd album has been left a bit more raw, striped down and not over produced. More "True Stories" mostly about girls in their unique 3 chord punk rock way! Sad to see them go, but happy they left us with a killer record!